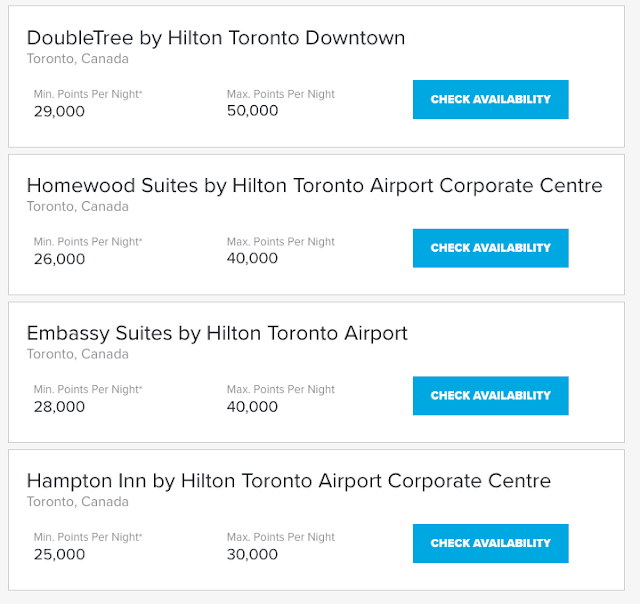 Two years ago Hilton Honors decided to stop publishing charts for free night awards as they moved to dynamic pricing when redeeming points. This made it tough to figure out how many points you may actually need for a stay and has been an obvious gripe for many of the program's members. 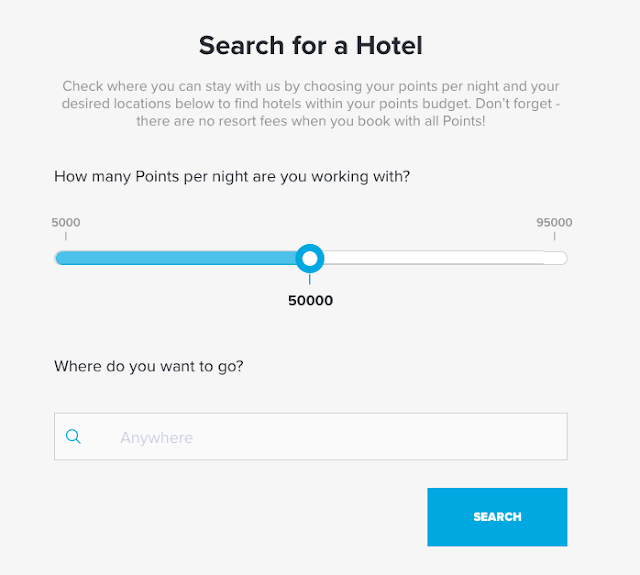 Good news is that Hilton must have been listening to their members as they have launched a new tool called Points Explorer. With the tool it will show you, in most cases, the minimum amount and maximum amount of points required for an award night. As you can see above, the Hilton Mauritius does not show a minimum. Essentially this will let you plan your future award travels by predicting the maximum amount of points you'll need you shouldn't be met with any surprises. We say 'shouldn't' as there appear to be cases where there are rates both lower and higher than the min and max shown. You can visit the Points Explorer tool here. We completed a small update to our navigation menu on the main Rewards Canada website. We moved 'Reviews' over to the main nav bar with a drop down for each of the four types of reviews we have on the site and the blog. The Book Travel link has been moved over the smaller right hand menu. Overall this should make it easier to access all the different reviews we have on the site.